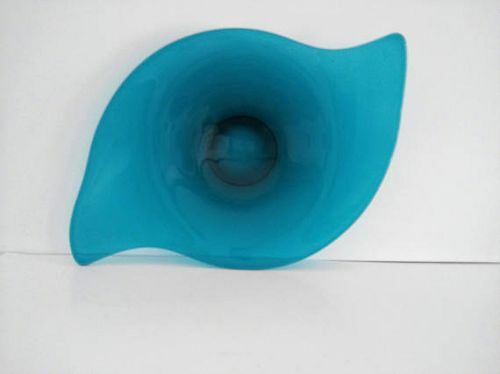 Viking large Mid century Bluenique center bowl Epic line 18.5"
Viking Glass Oblong bowl, #1186 It is made of Bluenique glass and is part of the Epic Line.The Bowl is 3 1/8" deep, 18 1/2" long, and 13 /2" wide. There are no cracks or chips. Condition is Very Good. I only see the largest pictures as 17" in the catalog. but this is 18 1/2". 1960s.